First, preheat your griddle to 350 degrees F or medium high heat if using a stove top skillet. 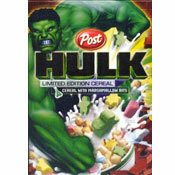 Mix your pancake batter as instructed on the box. For simplicity, we used a "just add water" mix (2 cups mix + 1 1/2 cup water). This is helpful if you run short on batter and need to mix up extra in a pinch. If you'd like to go with a batter from scratch, here's a recommend recipe. Once the batter is mixed, fill the condiment bottle with pancake mix by first transferring the batter to a measuring cup and then transferring to the bottle. A funnel-tipped bottle is the perfect tool for "drawing" ghost shapes on the griddle. You can omit the bottle and carefully draw shapes on the griddle by slowly pouring batter from the measuring cup, but go with the bottle if available. Squeeze or gently pour your batter around the eyes to form the head of the ghost, continuing to disperse batter to make a rounded body shape beneath the head. Smaller ghosts (approx. 3") are easier to flip, but experiment with the size and shape of your creatures. All of them can be unique and different. Repeat this process with as many pancake ghosts as will comfortably fit on your griddle. We found that we could fit 4 to 5 on a standard sized electric griddle. 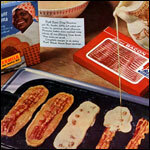 Once the bottom side is golden brown (2-3 minutes), carefully flip each ghost and brown for an additional 1-2 minutes. 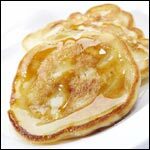 Serve warm on a Halloween-themed plate with your favorite syrup or lightly dusted with powder sugar. 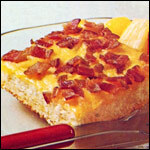 * Note: Similar recipes advise adding the eyes to the batter after it's been poured on the griddle. We found that that this resulted in batter obscuring the eyes. It also requires displaying the underside of the pancake to see any hint of the eyes... and the underside is never as evenly browned and beautiful as the first side. 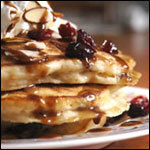 These frighteningly fun flapjacks are as frighteningly fun to make as they are to eat. 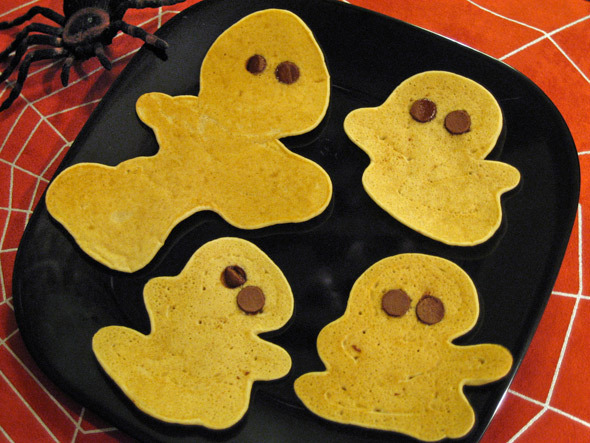 A great family project for Halloween breakfast. 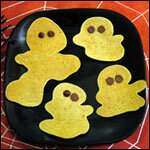 What do you think of Pancake Ghosts? This was a great choice for our Boy Scout Halloween party. You don't really need one of those bottles. I just pour the shapes from the spout of a measuring cup... works fine. Excellent! Fun to make and more fun to eat!! Fun fun fun. I like that you don't have to use a mold.